Shoufeng township is the longest section in Hualien county. It has beautiful mountains and quality water that enables healthy leisure activities and LOHAS to develop. Not only corbicula fluminalis, snappers raised by the fountains and running water, but also energetic pigs and chickens growing healthily are here in Shoufeng Farmers’ Association as food materials; there are also a variety of DIY country activities available to try. 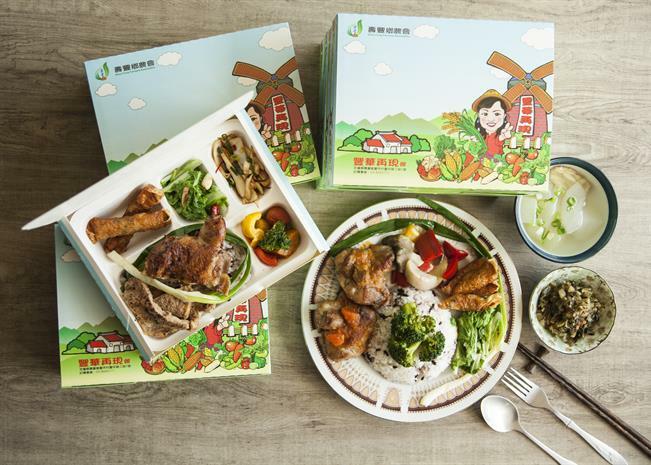 In the kitchen of “Country Style Health Depot” next to the Farmers’ Association in Shoufeng Township, there are many Tian Ma Ma busy preparing for meals, and they are Hakka, Amis and Hoklo Taiwanese. They work like a family and turn the local produce into scrumptious dishes for tourists to taste. The organic agricultural garden “Feng Zhong Serendipity” run by the farmers’ association is 5 hectare large, and the seasonal vegetables are all certified organic by the government. It is rated organic and toxic free. The Tian Ma Ma makes “Vegetable-in-season Meals” so that tourists can relish both flavors-- in the mountains and from the sea. “I-Zi Rice” is worth mentioning. “I-Zi Rice” means Yue Mei (the eyebrow of the moon) in Amis language. The soil in Yue Mei village is comprised of Maifan stones and the black sticky rice from there can nourish our health and replenish the blood. After steaming and cooking, it has a light taro aroma. Shoufeng Village has the remains of Japanese immigrants’ villages from the Japanese Colony era and plenty of Hakka clusters. The farmers’ association designed a “Half-a-Day Cycling Trip” so tourists can try DIY baking bread in the kiln, riding the bicycle to visit the fish farms, streams and mountains in Shoufeng Village. In summer, having a cool and quenching glass of “Watermelon Juice of Shoufeng” and you will see the love from local farmers who grow the fruits organically.